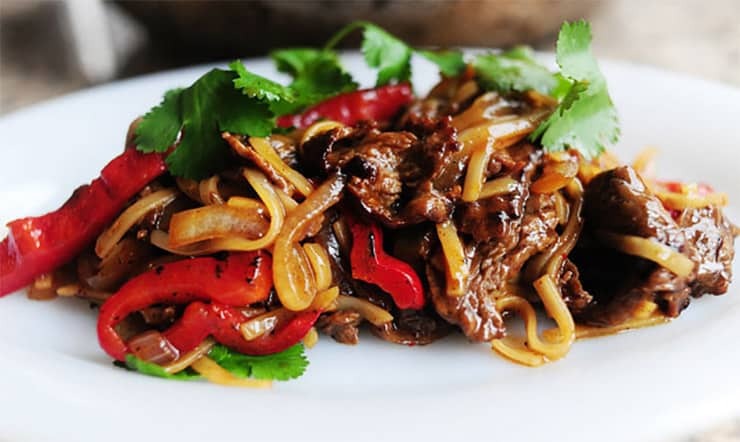 Stripped lean beef is carefully marinated in a wonderful combination of Asian classics – soy sauce, vinegar, and freshly grated ginger, and then browned in a large wok pan for the best possible result. Add some thinly sliced vegetables for extra taste and colour, sprinkle with sesame seeds and enjoy! Cut striploin into thin strips. Marinate in combined soy sauce, vinegar and ginger. Place sesame seeds on oven tray. Lightly toast in 160C oven for ten minutes. Remove. Brown small quantities of beef strips in wok or large frypan for 2-3 minutes. Remove from wok, set aside. Add onion, capsicum and celery. Stir fry for 2-3 minutes. Return beef with spinach and any remaining marinade. Serve sprinkled with toasted sesame seeds. Serves 4-5.